The brands catalog supplies is a comprehensive list of all the bestselling and highly preferred brands and names in the wine and spirits industry. Wines and spirits complete the table for special events and occasions. Holidays are made even special with a bottle of wine, whisky, vodka, and other famous picks in the spirits niche. The top-selling brands in the collection include the most popular names in the alcoholic beverage department such as Absolut and Bacardi. Other names with an ever-growing fan base around the world include Bailey’s Irish Cream, Chivas Regal, 100 Pipers, Aberlour, and Asti Martini Sparkling Wine. The standard Scotch whisky is gaining popularity in Asia and has become the number 1 brand in Thailand. As the 7th largest blended Scotch brand around the world, 100 Pipers is no doubt a booming and ever-growing name in the whisky department. The brand’s market presence is also spread throughout Spain, India, and South America. There is even an annual celebration of the India Music Week festival where the brand is the major sponsor. 100 Pipers also received a gold medal for the Asian Spirits Masters 2014, making it more and more popular among whisky connoisseurs. The blended Scotch is available through 100 Pipers delivery London. 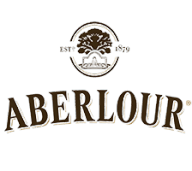 Aberlour is one of the top-selling names in the niche of medium-weight, single malt Scotch whisky. The popularity of this brand is undeniable, as it continuously infiltrates different alcoholic beverage and spirits markets all around the globe. Special celebrations and ordinary meetings are never complete without a glass of Aberlour. The up-to-date Aberlour wholesale UK catalog introduces some of the best bottles including the Aberlour 10 Year Old with a modern Speyside style. The 12YO Double Cask is also popular among whisky connoisseurs attributing the fantastic matured taste to its traditional sherry and oak cask storage. Other selections include 15 YO, 16YO, and 18 Double Casks. Absinth Tabu wholesalers offer the most comprehensive collection of this well-celebrated liqueur. This brand is a must-have for liqueur enthusiasts to celebrate special events and holidays. Absinth Tabu lovers seek the finest and most unique taste that has gained popularity from one generation to the next. It is a top choice in the international bar culture and a good ingredient for a number of tonics and mixed drinks. 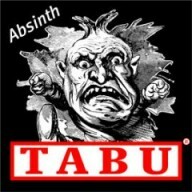 More and more liqueur connoisseurs highly consider the Absinth Tabu brand in Dry, Red, Classic, and Classic Strong variations. The brand sponsors various cultural events around the world, making it a popular liqueur of choice. Absolut Vodka continuously makes the round in contemporary bars and cocktail parties. The vodka of Swedish origin remains in one of the top spots in its niche along with other internationally renowned brands Bacardi and Smirnoff. Absolut is undoubtedly enjoying a growing fan base with its popularity still on the rise. The proof is on the new flavors that the brand launches every now and then. The name is best as a mixer or simply on the rocks. Some of the top-selling flavors in its vast collection from Absolut suppliers UK include Acai, Blue, Ruby Red, Citron, Kurant, Vanilla, and Mango. 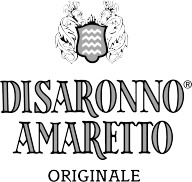 The best and newest selection of Amaretto Di Saronno wholesale opens a lot of discoveries for this Italian liqueur. Known around the world, a bottle of this popular liqueur brand is quite known in mainstream bars and cocktails. Some of the commercial brands are used for various cocktail blends as well as culinary uses. The brand has continued its tradition of sponsoring and hosting exclusive and stylish events in different parts of the globe, making it more popular and widening its fan base. Some of the latest aperitifs, long drinks, and cocktail mixes that highlight the brand include cranberry chillers and colada. A lot of whisky connoisseurs are looking for the limited edition ANCNOC 35YO and the hunt is becoming a popular one. More and more whisky lovers want to have their hands on this bottled treat. The single malt Scotch whisky enjoys a growing fan base with its unstoppable popularity among collectors and ordinary whisky enthusiasts. It is a great addition to every bar and cocktail party. No celebration is ever complete without a glass of decades-old Scotch whisky to share huge events and ordinary unfolding alike. The single malt whisky is a rare find and there’s a great deal from authentic wholesale ANCNOC 35YO distributors. Champagne is a mainstay in every celebration and special occasions. The Andre brand is one of the most popular in the champagne and sparkling wine niche. It enjoys an ever-growing and vast market base with its popularity still skyrocketing year after year. Reputable Andre distributors offer the widest assortment of sparkling wines and champagnes under the respectable and proven Andre insignia. Dry and Sweet, Brut and Rose are just few of the most sought-after bottles among champagne connoisseurs. Other categories in the sparkling wine and champagne department include Extra Dry, Blush, Cold Duck, Moscato, Pink Moscato, Spumante, Strawberry Moscato, and Peach Moscato. Kitchens and bars are never complete without the Angostura Aromatic Bitters supplies. This alcoholic mixture is one of the top brands in the liqueur department. It is recognized and respected as the leader among internationally-renowned aromatic bitters today. The brand is also exported to over 165 countries in different parts of the world. It absolutely enjoys a growing and wider market base, among connoisseurs of different age groups and lifestyle preference. The aromatic bitters is popular in the gourmet and cocktail arena. Cocktail recipes with the popular liqueur brand include iced tea while culinary recipes with a dash of Angostura include burgers. The multi-awarded whisky brand, Ardbeg, is definitely one of the most sought-after bottles all around the world. The Scotch whisky received various accolades from industry experts and award-giving bodies in the whisky category. Some of these recognitions include the Best Islay Single Malt, gold awardee for International Wine and Spirit Competition, and double gold winner for the San Francisco Spirits Competition. Its steadfast popularity among whisky enthusiasts made it a highly preferred choice in a vast market base. Some of the variants from Ardbeg suppliers UK include the Ten Years Old, Uigeadail, and Corryvreckan. There are also limited edition bottles available. The peated single malt Scotch whisky immediately gained popularity after it was re-launched in the industry in 2005. With a new packaging and replacement of its Traditional Cask, Ardmore direct UK is now enjoying a wider and more diverse market base. Whisky lovers are looking for the 12YO and 25YO bottles as part of their collection or to simply enjoy during holidays or ordinary get-togethers. The latest collection of Ardmore single malt whisky may also include the popular picks Ardmore Legacy, Ardmore 2008, and Ardmore 2000. There are also bottles from 1991 and 1996. Whisky connoisseurs spend a little extra for the 1965 bottle. Sparkling Italian wine is a popular and iconic choice in the long history of wine. 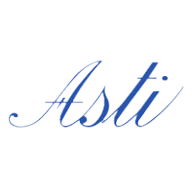 The list of Asti Martini sparkling wine wholesale offers a smorgasbord of choice among connoisseurs in the industry. People from around the globe enjoy a glass of sparkling wine to mark an important celebration or any holidays all year round. The passion for sparkling wine encompasses all age groups, lifestyles, and gender. Men and women alike love sparkling wine and there’s a sparkling wine bottle that suits different alcoholic level preferences. Thus, no sparkling wine is too mild or too strong for one wine lover. There’s always something special with the Scotch whisky that underwent three distillation processes. That’s why Auchentoshan distributors UK affirm the ever-growing popularity of this all-time favorite brand. More and more whisky lovers prefer the Auchentoshan trademark of excellent taste and aroma. Some of the popular selections under the brand include American Oak, Three Wood, 12 Year Old, 18 Year Old, 21 Year Old, Classic, and Silver Oak. There are many stylish events that the brand sponsors to boost its popularity among contemporary whisky connoisseurs. No wonder this is a certified top seller among different age groups and economic status quos. The legacy of the Bacardi name has been in the rum industry for over 153 years. The brand is still enjoying a vast and loyal market base among old and young connoisseurs. There are various selections under this famous rum label that is recognized and patronized all over the world. Bacardi manufacturers UK offers the best assortment of products that cater to all taste and preferences. The Bacardi Carta Oro is for the smooth and mellow while the Carta Blanca is subtle and dry. Other top picks include the bold and intense Carta Negra, the deep and mellow Ocho, 8 Anos, Black, Gold, Superior, and Mojito. People from different corners of the globe love Baileys especially its fresh premium Irish dairy cream and aged Irish whisky blends with a dash of chocolate. No wonder the wholesalers Bailey’s Irish Cream come up with the newest bottles in the vast and ever-growing collection. The Original Irish Cream is a mainstay for recipes such as salted caramel drinks. New flavors include Pumpkin Spice for lattes, the Bailey’s Espresso Crème for Martinis and Eggnogs, and the Bailey’s Salted Caramel. It also comes in Vanilla Cinnamon and Chocolate Cherry. The delightfully tasty and premium taste is what makes this liqueur brand an all-time favorite. Ballantine’s suppliers UK make sure this all-time favorite Scotch whisky stays on every celebratory table, bar, cocktail parties, and anything in-between. The top-selling brand is well-recognized and highly preferred among whisky lovers in different parts of the world. It is one of the brands that is being exported to various countries from the UK to the United States and elsewhere as it picks up remarkable momentum in the overseas markets. The collection of Ballantine’s that have been popularly viewed and highly purchased include 12YO, 17YO, 21YO, and 30YO. There are also bottles of Finest, Gold Seat 12YO, and Hard Fired. 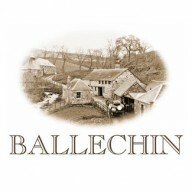 There’s a reason why the Ballechin brand is still one of the most sought-after and top-selling single malt Scotch whiskies in the industry. With a growing number of whisky lovers preferring the Ballechin label, exporters are also enjoying a bigger overseas market. with expertise and keen attention to details, the Ballechin creators have made this highland pleated alcoholic beverage an all-time favorite among whisky connoisseurs, then and now. It is a popular choice for big celebrations and solitary moments with a glass of whisky to complete the day. More and more whisky lovers look for bottles under this label including #3 Port Pipe and #5 Marsala. Single malt Scotch whisky connoisseurs are constantly looking for brands that offer luxuriously smooth, rich and underpinned taste. Wholesale Balvenie UK tops the list for the most celebrated and highly recognized whiskies in the industry. Thus, it enjoys a growing market base with a good number of collectors and whisky enthusiasts in its loyal overseas and local market. The Balvenie range includes the Double Wood Aged 12 Years, the Double Wood Aged 17 Years, and the Caribbean Cask Aged 14 Years. The collection just keeps getting bigger with the addition of 30YO, Port Wood 21YO, 40YO, and Peated Cask 17YO. The noble spirit of classic cognac lives on with the best Baron Otard collection from certified and trusted Otard VSOP Suppliers UK. The VSOP version is not the only top selling bottle in the exciting and large database of excellent cognac. There are other variations that garnered the same attention, loyalty, and preference from cognac aficionados all over the world. Some of the famous picks under this label include the Baron Otard VS, Baron Otard Fortis Et Fidelis, Baron Otard Extra 1795, and the Baron Otard XO Gold. The Heritage Reserve collection includes the Vintage 1972 from the Petite Champagne cru. Made in the heart of London more than a century ago, the iconic gin has reached different areas of the globe through certified wholesale Beefeater Distributors. The renowned and highly celebrated label is now exported around the world, giving connoisseurs a fill of this premium alcoholic beverage. It is a mainstay in bars, cocktails, and every collection of top quality gin with international accolades. Reputable and trusted Beefeater suppliers offer different variants that gin lovers are looking for. Available variants in the collection include the Beefeater Crown Jewel Dry Gin, Beefeater 24, and Beefeater Burrough’s Reserve that was launched in 2013. Bell’s Original wholesale UK is no longer an exclusive alcoholic beverage treat for the Scottish enthusiasts and UK whisky lovers in general. Today’s most up-to-date collection is exported in different corners of the globe, proving the popularity of the brand and the loyalty of its growing market base. The signature malt of this label is highly commendable and its growing selection of Bell’s Original variants is proof of its continuous growth in the premier whisky industry. Some of the top-selling variants under the brand include Bell’s Extra Special, Bell’s Christmas 1996, Bell’s Christmas 2006, and Bell’s Original blended Scotch whisky. Although the first Beluga Russian vodka was first produced and launched in 2002, this label has enjoyed popularity in leaps and bounds. The rich and refined vodka is now a fast-growing brand not just in its native Russia but is widespread in different corners of the world. More and more vodka lovers are falling in love with the unique and smooth taste and aroma that is distinctly Beluga. A good selection of variants is available from reputable and certified Beluga wholesalers. The vodka category is divided in Transatlantic, Noble, Allure, Gold Line, Celebration, and Beluga Epicure by Lalique plus the Beluga Hunting Bitters. The wide assortment of vodka variants under this label is made accessible through Belvedere suppliers London. The original vodka is divided into the Unfiltered and Intense subcategories while the Limited Editions include Belvedere Red, Night Saber, and Bespoke Silver Saber. The label’s Macerations is a much bigger group with variants that include Peach Nectar, Wild Berry, Mango Passion, Pink Grapefruit, Lemon Tea, and Citrus. The label has enjoyed a growing fan base that loves the vodka as is or as a cocktail ingredient. Popular cocktails with a dash of Belvedere include Cherry Spritz, Citrus Mint, Cranberry, Ginger, and Classic Martini. From certified Benedictine D.O.M suppliers UK comes the sought-after label in the liqueur department. The French brand has reached numerous liqueur lovers from different parts of the globe, earning it a much wider and vaster loyal market base. Celebrations and holidays are made even special with a bottle of Benedictine D.O.M on the table. It is best served on its own or as a mixer for various cocktails in bars, parties, and virtually anywhere. The collection of this respectable and reputable label includes more interesting variants such as the Benedictine B & B Liqueur and the original bottle in Half Liter, Bot. 1960s and Bot. 1980s. Despite a troubled history, the Bladnoch brand maintains the quality of its single malt Scotch whisky and has garnered recognition and loyalty from its fan base. The selection of whisky with this label is still accessible through Bladnoch delivery UK however stocks are already fast disappearing. Even with limited resources, the brand managed to keep a good domestic and even overseas market. Some of the top choices in the Bladnoch collection include the Bladnoch 1993 bot. 2015 Connoisseurs Choice, Bladnoch 10YO, Bladnoch bot. 1970s, and Bladnoch 1975 13YO Cask Strength Intertrade. Another bestseller is the Bladnoch 1980 19 YO Silent Stills. Bols wholesalers in London introduces the list of over 300 liqueurs and spirits recipes with a dash of the classic label from Amsterdam. Bols liqueurs come in a wide range of selection such as Bols Amaretto, Bols Apricot Brandy, Bols Banana, Bols Blackberry, Bols Blue, Bols Blueberry, and Bols Butterscotch. Bols Vodka is another exciting group with the likes of Bols Citrus, and Bols Vanilla on the list. Genever lovers love the original genre of this cocktail spirit that makes unique flavors that cocktail buffs around the world are craving for. Famous Bols cocktails vary according to the occasion such as weddings and ladies night. There are lots of gin lovers that have been looking for a finer and more promising addition to their list. Bombay Sapphire supplies deliver the best assortments of gins and cocktail recipes with a dash or two of this famous brand. The label is becoming a mainstay in bars and cocktails as well as every domestic alcoholic beverage collection. Some of the top cocktail recipes that are mixed with this fruity and aromatic gin include the Bombay Sapphire Bramble, Aviation, Bombay Sapphire Collins, Dry Martini, Peach and Elderflower Collins, and Bombay Sapphire and Tonic. It’s a great beverage of choice for celebrations and holidays. 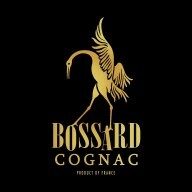 Bossard Cognac is a type of French brandy that has garnered numerous accolades and popularity among connoisseurs from all over the world. It is widely enjoyed and thanks to its reasonable price in the niche of average cognacs, it is becoming even more accessible. Brandy lovers commend the brand that offers different variants from oak cask, single barrel aged bottles to newer or much older picks. Bossard offers VS, VSOP, and XO categories for their variants to give it a more diverse fan base among enthusiasts of this alcoholic beverage. It’s a highly preferred spirit, made accessible through wholesaler Bossard UK.